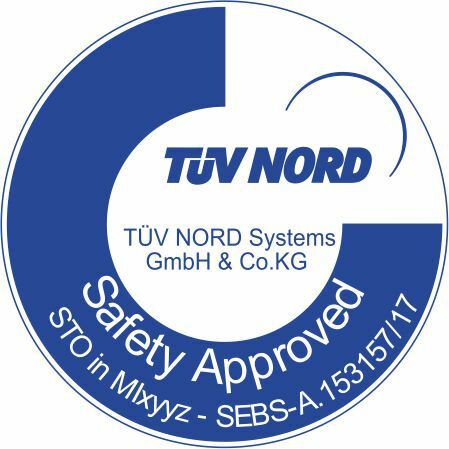 QuickStep, the Integrated ServoStep Motors from JVL. All in one smartmotor with integrated controller. 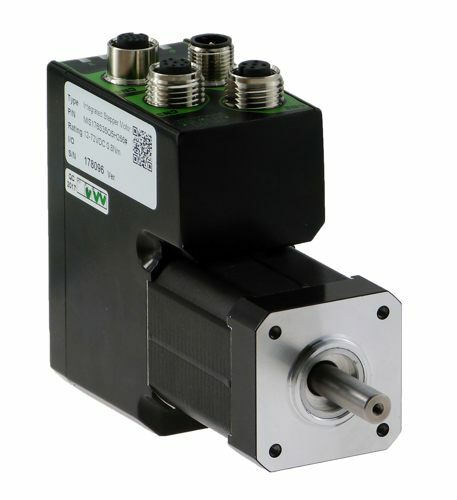 A wealth of possibilities with this new NEMA17 stepper with closed-loop servo-operation up to 3000RPM, It offers the highest microstepping resolution, position/velocity/torque servo-performance up to 0.8Nm. 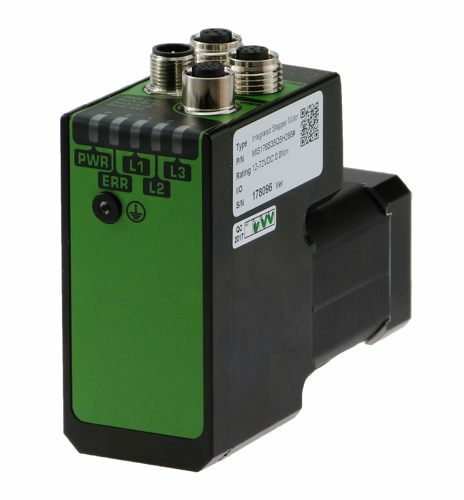 Available with CANbus, RS485, SSI, Industrial Ethernet Profinet, Ethercat, Ethernet/IP, Powerlink, Ethernet TCP, Sercos III , Absolute multiturn encoder, PLC 8IOA, clock/direction and STO. Velocity resolution 0,01RPM for extreme low speed operation and 409600 step/rev for highest precision. Different shaft diameter, brakes and high IP protection make it ideal for machine adjustment or other demanding applications. Note that the controller are also available as separate unit - SMC66. 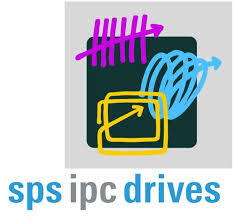 - Read more about MIS17x controller SMC66 as a PLC. 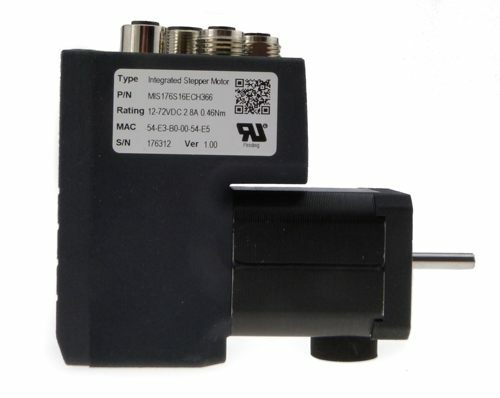 - Read more about MIS17x controller SMC66 in a box. 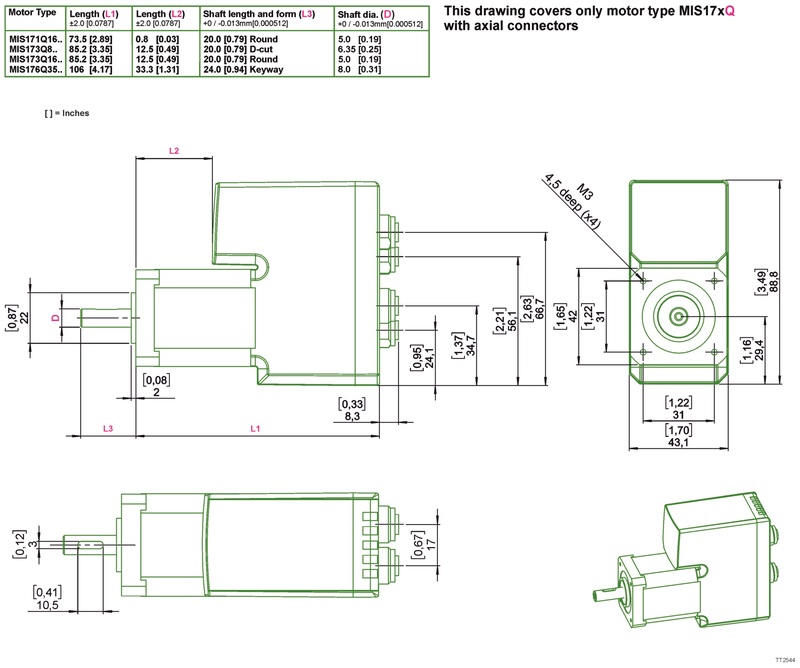 - Read more about MST stepper motors. 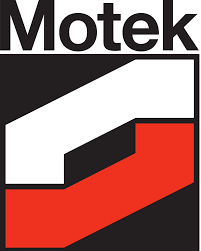 In this mode the QuickStep motor functions as in a step motor driver. The motor moves one step each time a voltage pulse is applied to the step-pulse input. Velocity, acceleration and deceleration are determined by the external frequency, but can be limited and controlled by the QuickStep motor. 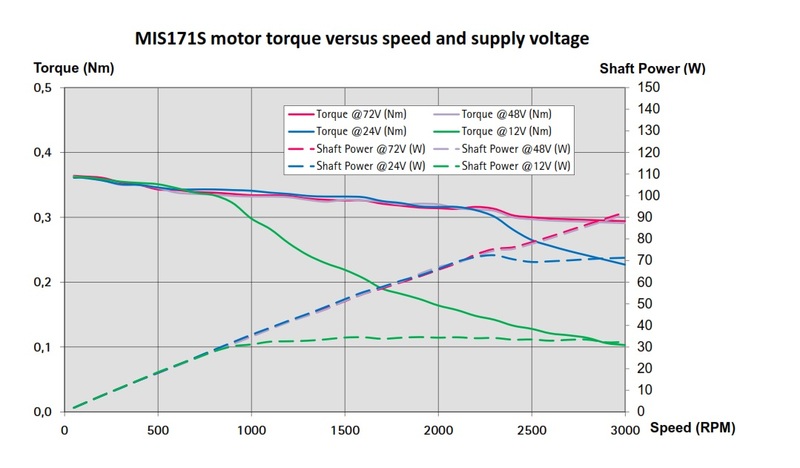 In addition, the QuickStep motor also provides a facility for electronic gearing at a keyed-in ratio. 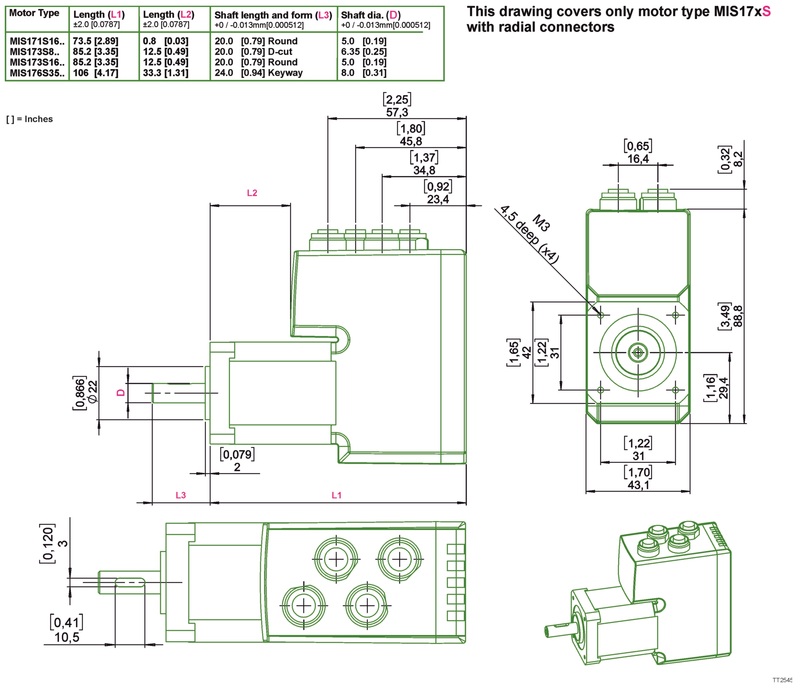 In this mode the QuickStep motor’s registers contain the positions, velocities, accelerations, etc., required for the actual system. The registers can be selected and executed by a single byte sent via the serial interface. This mode provides maximum utilization of the QuickStep motor’s features since the QuickStep motor itself takes care of the entire positioning sequence. With command sent over the serial interface can position and velocity be changed. 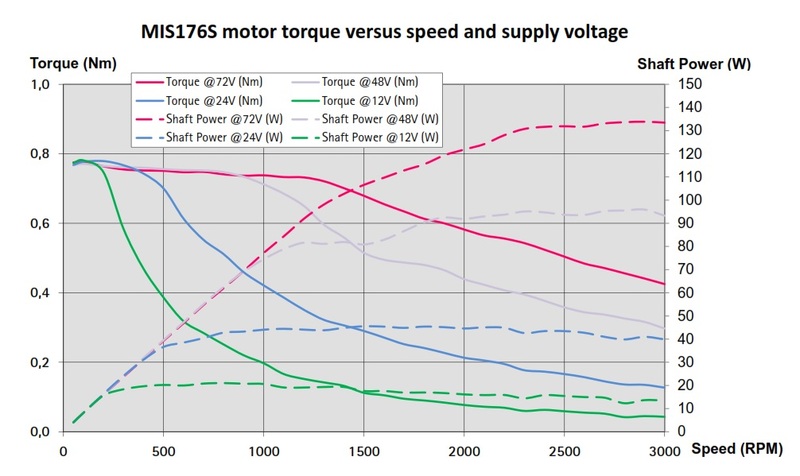 Various operating parameters can be changed continuously while the motor is running. This mode of operation is used primarily in systems where the Controller is permanently connected to a PC/PLC via the interface. It is also well suited for setting up and testing. The mode is also used when programming is made. 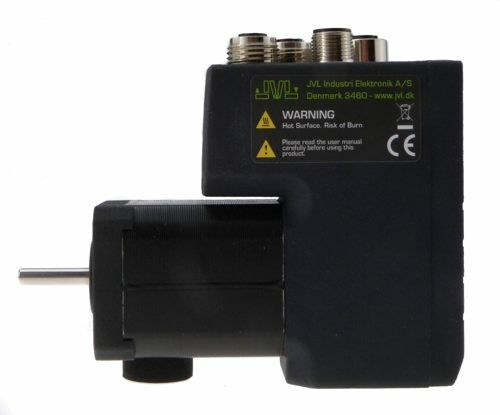 Outputs Up to 8 pcs high side for relay, PLC or brake control. 24VDC PNP high power 0,4A (peak 0,9A) each. Short circuit and reverse protected. Inputs Up to 8 pcs 24VDC logic inputs that can we used for limit switch, homing, position capture, enable input, pulse/dir. Analogue input Up to 8 pcs 0-5V 12bit that can we used in program for analogue to speed or position. Protected up to +-30VDC.